The largest vehicle made by Mazda is the Mazda CX-9 crossover SUV. 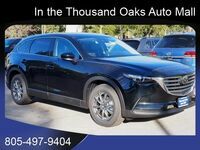 Drivers who want to maximize their versatility ought to check out the 2019 Mazda CX-9. It offers the most interior space among all Mazda models as well as outstanding efficiency and technology. That’s all great, but how does it stack up to the competition? We are here to find that out. In this edition of our model comparisons, we are putting the 2019 Mazda CX-9 up against the 2019 Volkswagen Atlas. Check out our table below. These crossovers are similarly priced and sized. Both the Mazda CX-9 and the VW Atlas feature three rows of seats, with room for seven total occupants. 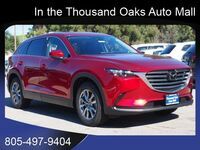 What sets the Mazda CX-9 apart is its technology. Every model comes packed with a 250-hp, SKYACTIV®-G 2.5T 4-cylinder engine with Dynamic Pressure Turbo. This engine is only found under Mazda hoods. 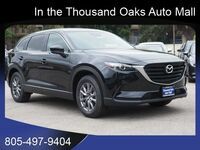 Additionally, the base Mazda CX-9 Sport comes with MAZDA CONNECT™ infotainment, a rearview camera, remote keyless entry, blind spot monitoring, and smart brake support. 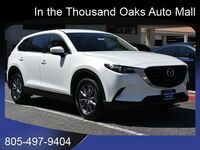 There is nothing you won’t love about the 2019 Mazda CX-3. Its 310 pound-foot of torque contributes to a maximum towing capacity of 3,500 lbs. 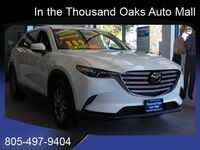 Come down to Neftin Westlake Mazda to check out the 2019 Mazda CX-9 for yourself. This midsize crossover epitomizes everything about the modern, aesthetically pleasing, high performing, spacious vehicle. A slew of technological perks combined with a gorgeously crafted interior makes for an overall pleasing driving experience. If you’re ready to go for a test drive, we’ll help you with that! Otherwise feel free to come down and take a stroll around our lot and showroom. We hope we see you soon.